Shah and i always arrange our outings between prayers. For example, now in mid February, Zuhur comes in at about 1pm, Asar 3:40pm and Maghrib is at 6:10pm. 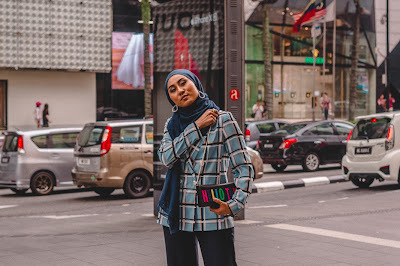 So we would wake up, eat a really big brunch, perform Zuhur, leave to go jalan-jalan and we will make sure to be home before 6:10pm for Asar prayer. It took us three weeks of settling in before we were ready to visit Disneyland Paris. Then came the big question: where do we perform prayers in Disneyland? Sure, we could go really early in the morning and come back before Asar and leave for it again, or come back another day, of course. But how about for those who have limited time to visit Disneyland, for those who are staying in the city and not in Disneyland itself or nearby? It takes 45 minutes - 1 hour in the RER train per journey from the city, so it would be tiring and extremely boring to go back and forth. We tried Googling about praying spots there but nothing came up. But we figured, OK, we're going to make this work. So Shah and i packed our sejadah and my telekung and my makeup remover and my facial moisturiser and my little towel, not having decided whether we should return home for prayer, or if we would find a place for it in Disneyland. So off we went, train ride, arriving at Disneyland Park's entrance (ooohhh! ), tickets-buying (tip: going there with someone who has a Disney passeport saved us 20 euros each for our own passeport), finally stepping into Disneyland for the first time ever (aaahhh! ), queuing up for our Disney passeport (ugh, look at how long the line is! this is going to be bori—ooohhhhh! look at the PRINCESS' CASTLE!). When we finally got our hands on our passeport, we basically went around, taking photos and collecting fast pass for some of the rides. Suddenly it was close to Asar time! Time simply FLIES in Disneyland. Shah and i had to look for a place in Disneyland for Zuhur prayer now. We thought the thing to do is to look for some sort of information booth. We weren't sure what and where that place would be, so Shah approached two Disney staffs, a man and a woman, who just happened to do some rope work of some sort on the side of the path we were on. Instead of asking for the location of an info place, Shah asked them straight away if they knew if a place where Muslims can pray. The man shook his head emphatically, saying such place does not exist and was ready to dismiss us. The lady didn't hear Shah at first, so when Shah asked her again, she said she thinks there actually is a prayer space only she wasn't sure where. She helpfully directed us to City Hall. Yes, i know. That guy was the opposite of helpful. 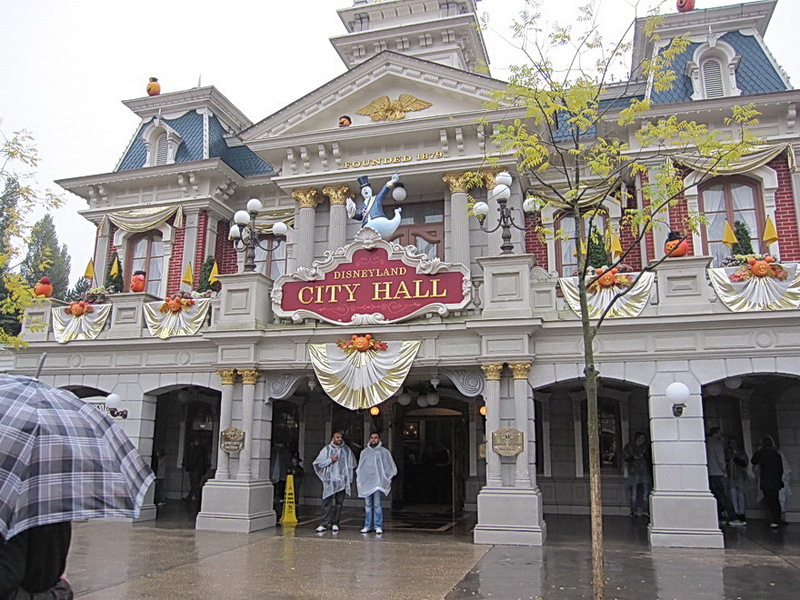 We thanked her graciously and went towards City Hall, which is along Main Street, U.S.A. in the Disneyland Park. When you enter through these doors, there's a sign saying you should wait for the next available host/hostess behind the counter. So we waited, and when it was our turn, Shah asked if they have a place we can go to to perform our prayers. To our surprise, the host (or hostess, i can't remember) immediately showed us into one of the rooms in City Hall itself. 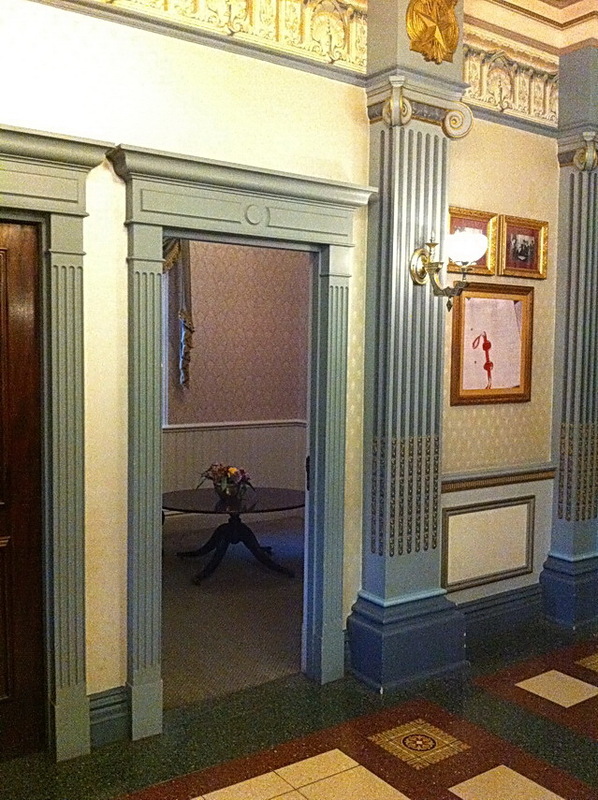 In the photo above, do you see a room straight ahead, with its door open? That's the room he showed us in. That room is the second room on the left when you enter City Hall. There are four rooms in City Hall, but two of them are always used for something else, and the other two are the ones we've "borrowed" in the 20 or so times we've been there. 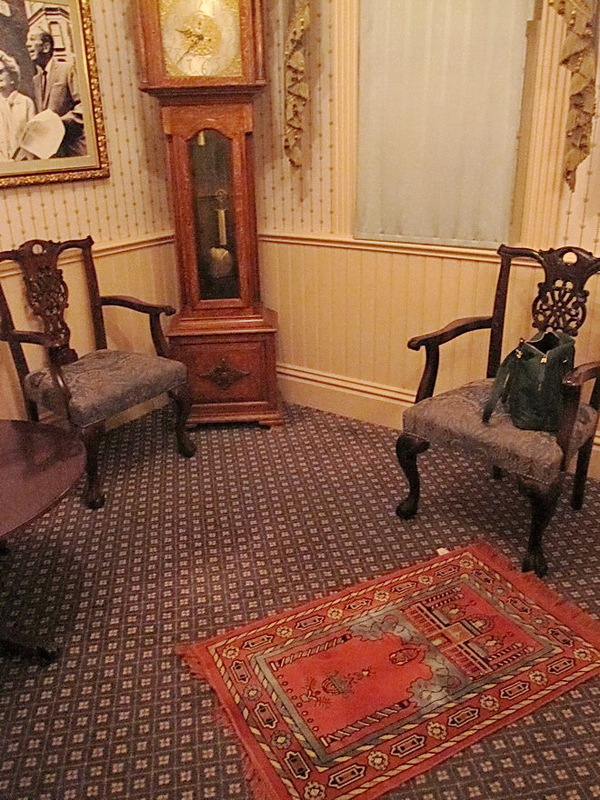 The other room we've used is in the photo below; it's the first room on the right upon entering. That's our red sejadah, on the carpet there. Just to make it clear, these rooms are not reserved as prayer rooms, but i think these are mainly a private space visitors can borrow, and lucky for us, they extend that privilege to Muslims for our convenience. Don't be afraid to approach the host and hostess and ask questions, as the majority of them are really friendly and extremely helpful! 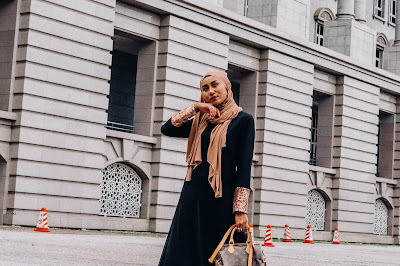 There isn't a place to perform wudu'—also known as ablution, an act in which Muslims wash certain parts of our body before performing a prayer—in City Hall itself, but fortunately there are wash rooms right beside City Hall. The trip to the wash rooms are incredibly short, but let me tell you, they're really not fun to take in the cold months of winter. But Shah and i love hanging out in Disneyland Paris so much we didn't care and just soldiered on. As long as we get to pray! We would usually enter a room first, take turns to the wash room and then back to the room to pray. 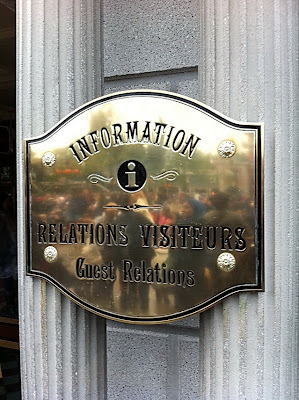 There are two main theme parks in Disneyland Paris: Disneyland Park and Walt Disney Studios Park. 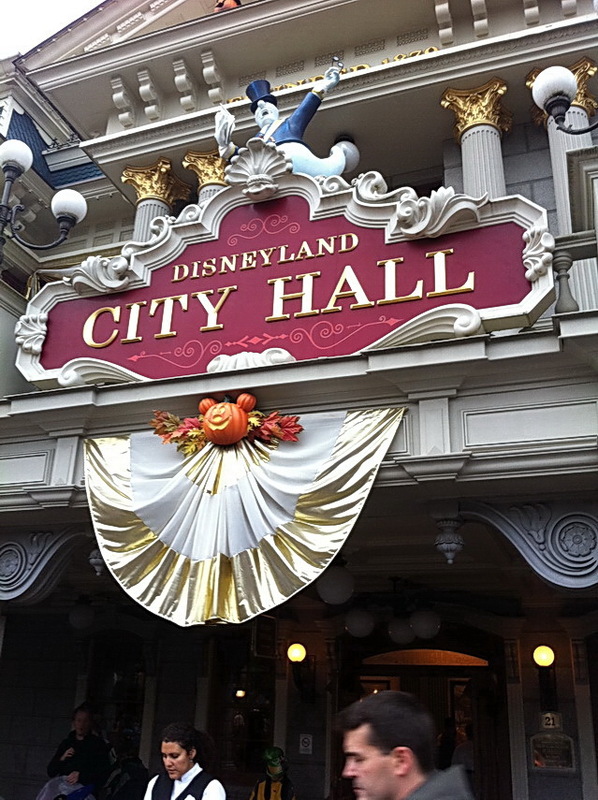 City Hall is in Disneyland Park. If you're visiting Walt Disney Studios Park and need to pray, don't worry! Just look for the information place in Walt Disney Studio's front courtyard, which is situated somewhere along the right side when you first enter the park. Apologies for not having photos of this particular place. Again, just ask the person behind the desk nicely if you could get a room to perform prayer. However, here, you would enter the "backstage area", where visitors are not really allowed to enter, and definitely not allowed to take photos. There are rooms in this place, but so far we've only used one of the rooms to perform prayers. 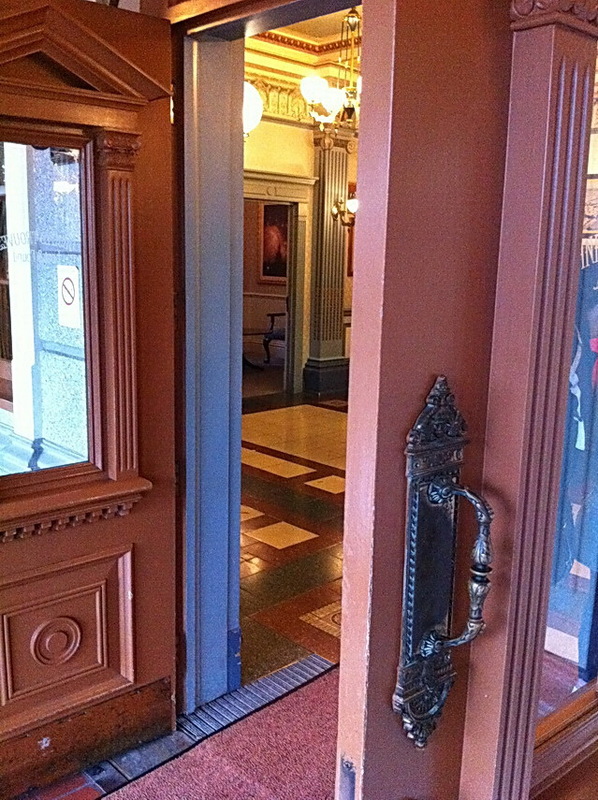 It's also less accessible than the rooms in City Hall, as those are actually open to the public. On one occasion, the room in Walt Disney Studios was not available, so they asked if we our ticket could access Disneyland Park. 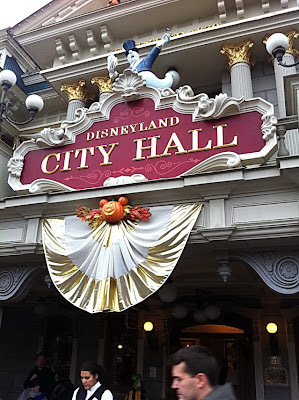 If ours could not, i have no doubt they would find a way to get us a temporary access to City Hall just for prayers; Disneyland's front desk staff can really be that helpful, . There are wash rooms right next door in Walt Disney Studios too, but since the room is in the "backstage area", it's more difficult to exit and enter, so i would suggest you perform wudhu' before you ask to borrow a room. A huge tip: Don't leave your prayers to the very last minute! The lines could be very long, so it could be a while before you get your turn. And even if it's your turn to approach the desk, the rooms might be in use. There were a couple of times when Shah and i went to City Hall or the info place in Walt Disney Studios too close to the next prayer's time, and we missed a prayer. As for performing the wudhu' at a sink in the bathroom, sure, you might feel a little self-conscious, especially when you're washing your feet. I sure felt that way the first few times! But sometimes you gotta do what you gotta do. Helpful reminder: just remember that you most probably will not see any of those people again, ever. Unless you bump into them in the park, but at the end of the day, the most important thing is, you've completed all five prayers and that should make you a very happy person. I hope my story helps you, and hopefully you find this post if you're ever in the same situation as Shah and i was when we first went to Disneyland Paris. If you do find this helpful, please, be generous and leave a comment on this post! I would love to know if i've helped anyone by writing this post. To Disneyland Paris, thank you for being so helpful and courteous and accommodating and so much FUN! Someone commented on this article about how he/she (the person commenting decided to stay anonymous; you can read the person's comment down below and my reply to it as well) and friends encountered a not-so-pleasant staff at Town Hall in Disneyland when they were asking for a room for praying, and i feel really bad for them! I am sorry to say i cannot guarantee that every single staff will be as sunny as anything—i wish i could though, i actually feel bad that i cannot guarantee it—but aside from a couple of minor incidents, all the staff at the park were always hospitable to us. I told my husband about the person's comment and how unfortunate it is that someone had a bad experience with a staff in Town Hall, which made him remember to tell me this story: The last time we went there was four days ago (Saturday 13 April; our 20th time at least), and when my husband asked for a room for prayer (it was right before Disney Dreams! started), the staff promptly showed him to a room and even pointed out the direction of the kibla. It was correct too, exactly the same as the one we got from the Kibla apps in iPhone. I wasn't with him then, so i was quite impressed to hear this. Aren't you? So yes, to whom you are directing your request to will depend on luck, i guess; you'd never know which kind of staff would serve you. But keep an open mind and don't be afraid to ask for help there, they are there to help and assist and be reminded that from our experience, they always do so willingly! I am looking forward to finding these rooms to do my Salaat, inshallah! We're planning to go to Disneyland in June and I was googling to find out where we can perform our prayers as we plan to spend the whole day there. I must say your page is the MOST relevant and helpful. Thanks very very much. May Allah bless you always. I went to Euro Disney last week. Before going there I came across your blog while googling prayer rooms in the park. So I went with my two friends to the town hall and asked if we could pray. The first response was the rooms are occupied and the lady went to check with her supervisor. Judging by the way she responded I figured they didn't want us to pray in their rooms, asking her manager was just an excuse. When the lady came back she informed us that indeed it will not be possible for us to pray in the rooms. I asked her when we can come back and she responded that the rooms will remain occupied until the end of the day. The way she responded... i just couldn't resist, i laughed and told my friends in front of her that they do not want us to pray in their rooms. She insisted that all rooms are occupied and it is not that they do not want us to pray. I was like OK i believe you and just as I was about to leave she insisted to show me that the rooms are occupied. The rooms were empty and not occupied. She got embarrassed and allowed us in. I dont blame the lady, I blame who ever instructed her not to allow their guests to occupy the room for two or three minutes to pray. shameful. How awful, Anonymous! I'm really sorry you had such a bad experience. I think you must have dealt with one of the less hospitable staffs. Unfortunately they do exist, like the guy i was talking about in my article above. I guess we can't count on every single Disney staff to be perfectly accommodating and understanding. But really, i always find the staffs to be generally helpful and friendly. My husband and i just went there again two days ago, on Saturday, and we had no problem getting a room for prayer—twice, in fact, for Asar and Maghrib. But i can definitely relate to your story. In the 20 times or so we've been there (we really do love Disneyland Paris! ), we have encountered similar problems; the first time was when the rooms are apparently not available in Walt Disney Studios (i mentioned this as well in my article), but they did kind of give us a solution, which was to head to the other park. We almost missed our prayer though! The second time was when the staff made us wait for half an hour for a room, and we missed our prayer then. That was in Walt Disney Studios as well. In Town Hall, there was only a couple of times that we had to wait for a room, as the rooms really were being used, but we had to wait for no more than 20 minutes. This is why we've learned to not leave our prayers to the very last minute in Disneyland, by the way. But compared to these few incidents, we really had a lovely experience each time we were in Disneyland Park, and we are always looking forward to going there again and again. So it really is unfortunate that you had to go through that unpleasant experience! If you ever visit there again, i do hope you will meet some of the friendlier staffs and have a better time. Assalamu'alaykum Liyana, many thanks for the important information and advise. My wife, son and I are going to Disneyland Paris from 14 Aug'13 to 16 Aug'13. We are looking forward to perform our Zohor & Asar prayers in Disneyland. I hope you had a pleasant stay in Disneyland and that you and your family had no problem performing prayers there. Thanks for commenting here too, i'm glad i was of some help. Thank you so very much for commenting here. Alhamdulillah, it always makes me happy to hear that I've helped others with this article. I hope you and your family have an amazing time in Paris! France the 2nd Islamic republic, Britain is 1st. Thanks for the tip. The lady at the counter terus bawak Kitorang into one of the rooms belah kanan counter when we asked. Alhamdulillah. Syukur Alhmdulillah. You're welcome, I hope you had the greatest time there. Glad I could help! Hi I came across your blog whilst doing some research about planning our trip to DisneyLand. 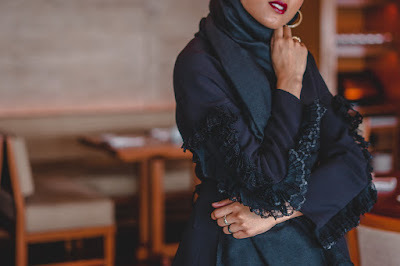 We living in England, I wear Hijab (alhumdulillah) and myself, my husband and my three children are planning to visit DisneyLand in september this year. we are very concerned about coming to France especially after all the events happening concerning Muslims. Please share some advice about visiting France (we want to stay in Paris for one night at the end of our trip before flying back to England) and visiting Disney. 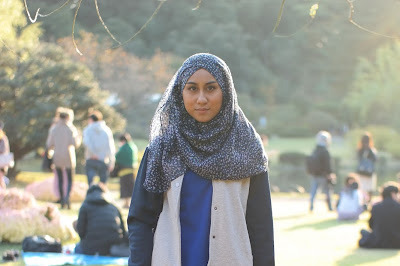 Will there be any problems with me wearing Hijab, staying in hotels or in the park itself? I had so much fun in Paris when I lived there in 2012-2013, and I loved it there. Disneyland Paris was really so much fun too. I personally didn't really experience any form of discrimination, and probably had the same wonderful experience as anybody else. I'm aware of the incidents that had happened recently in Paris, and unfortunately, since I haven't been there since I left in 2013, I can't really answer your question. I would like to believe that things wouldn't have changed much since I left, but I really can't know for sure. I'm sorry that I can't be much help to you. I would like to think that you and your family will have an amazing time, and I pray and wish that you will. 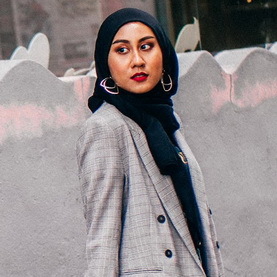 If you're really concerned, maybe it's better to ask a hijabi who lives in Paris, or recently visited Paris, as I think they would be able to help answer your questions much better. I hope you will find the answers you're searching for. When, or if, you do go to Paris, I sincerely hope your time there will be as magical as mine was! Any suggestions for food during having fun at the Disneyland Paris? Oh dear I forgot to answer your salam: Waalaikumsalam! Wè went there and followed your every instruction and alhamdulillah Wè were able to pray. There was a long queue outside Thé guest relations and a very lovely dressed staff was asking everbody in the line for their requests. We were at the end of the line. I told her i wanted to pray. And she took us out of the line and leaded me to the room. She told me it was already being used and to wait for them . There were three People praying. I forgot to bring sth to pray on. I took out my cardigan and prayed on it. But there were the pictures of Walt Disney On the walls and they were in Thé direction of qiblah. 😯 thank you so much. There were so many Muslims . Wè should ask for a praying room.